VANDEX SUPER and VANDEX SUPER WHITE are waterproof treatments that become an integral part of concrete through a crystallization process. 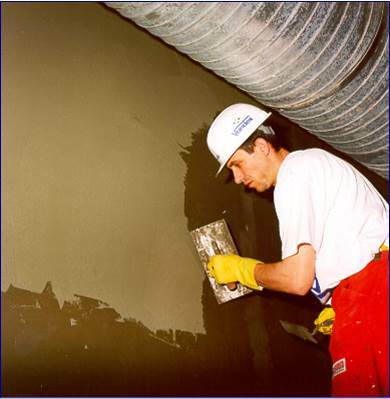 Once the cementitious carrier is applied to either the positive or negative side of the substrate, crystal growth occurs, blocking the capillaries and minor shrinkage cracks within the concrete to prevent any further water ingress. In addition to waterproofing, VANDEX SUPER/SUPER WHITE protects concrete substrates against saltwater, wastewater, harsh ground water, and certain chemical solutions. At the completion of the test, the treated specimens (6”x6” [15.2 cm x 15.2 cm]) did not exhibit any water leakage. All specimens were tested for 14 days under 200 psi (462 feet of head pressure [13.8 bar]). An independent laboratory test report is available on request. Treated specimens (7.5”x 15.5” x 4” [19.1 cm x 39.4 cm x 10.2 cm]) exhibited an average water penetration of 9 mm when tested for 72 hours under 72 psi (166 feet of head pressure [5.0 bar]). An independent laboratory test report is available on request.